As we return to school on Tuesday there will be many people curious about progress on the new building. Mrs Dunn & I met with the builders earlier this week for an update on progress. The good news is that as you can see from the pictures, the site has been prepared and the foundations will have been dug by the time you read this. They are about 10 days ahead of schedule. 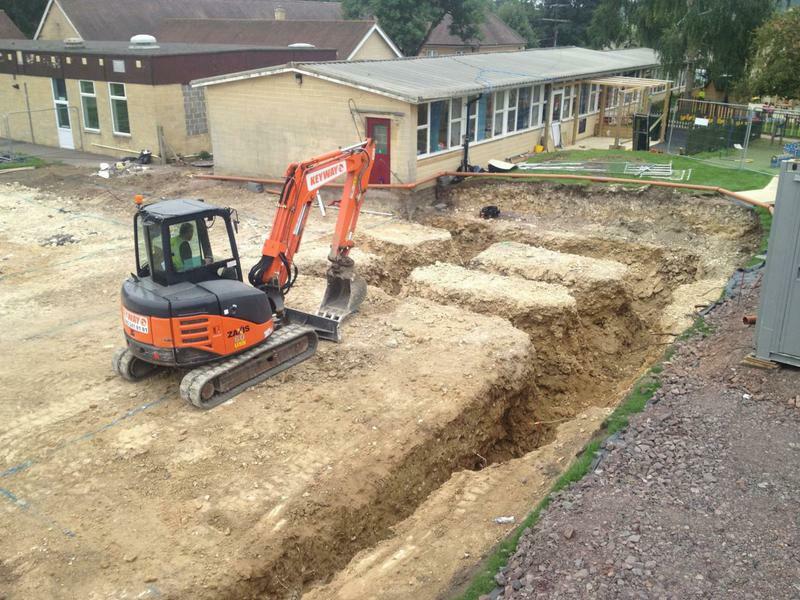 Next week will see concrete mixer trucks arrive and the concrete poured to form the foundations for our new building. The builders are very keen to involve the school and will come and speak at one of the first assemblies and well as making sure we can see what is going on at the site. We’ll keep the site updated with pictures and notes as the project progresses.